The Duncan Magnetude is an innovative attempt at a new kind of 5A yo-yo - featuring spinning side caps with embedded magnets, the Magnetude ships with 2 "dice" counterweights with magnets so they stick to the side caps. 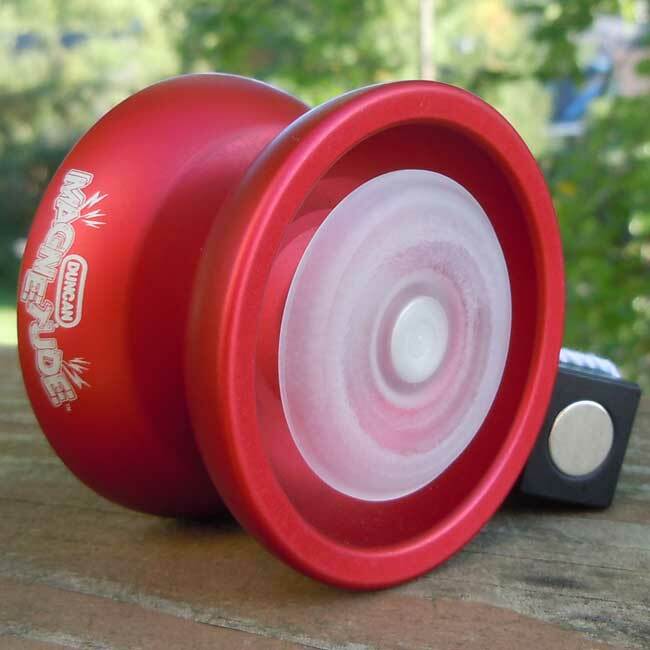 In addition, the 2 different colors of Magnetude (red and black) are also opposing polarities so that during 3A play the yo-yos can be joined for amazing original tricks. The Magnetude uses size A (small) bearings and Duncan silicon pads for response, and is anodized with a nice blasted finish for smooth grinds.